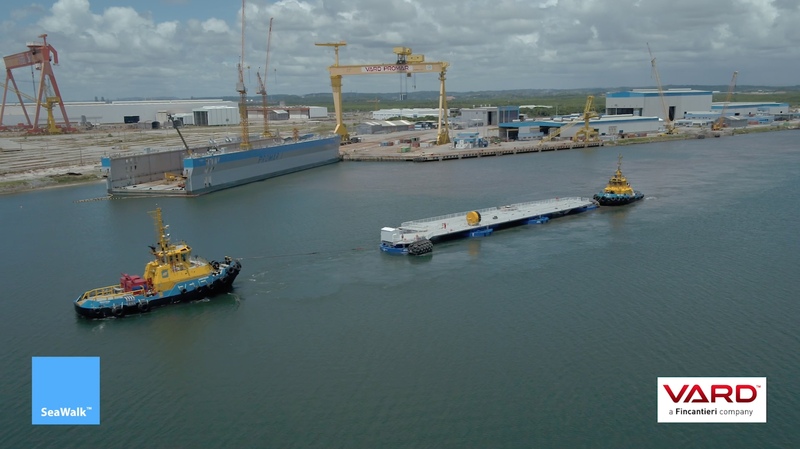 SeaWalk Port Royal has been successfully been moved from Vard Promar in Brazil to Kingston, Jamaica using the Rolldock Storm. SeaWalk Port Royale ready for transport from yard. Hurricane quick release system installed. Since 2012, SeaWalk has had over 500 successful calls. SeaWalk™ lets destinations provide a connection between ship and shore. SeaWalk™ is removable, reusable and requires minimal space to install.